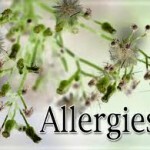 Seasonal allergies seem to be getting worse every year so I have found some tips to help with seasonal allergies. 1. It all starts with nutrition. Seasonal allergies put your immune system on alert, stressing your body and increasing the need for nutritional support. Remember the A-list: Alkalizing , Anti-inflammatory, and Antioxidant-rich. Eat green leafy veggies and juices, lots of berries (especially blueberries), fresh fruits and vegetables. At the same time, avoid foods that produce mucus such as sugar, dairy, and wheat. 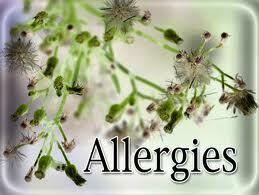 Supplements such as grapeseed extract, quercetin, and vitamin C are also effective in reducing allergy symptoms. 2. Hydrate, hydrate, hydrate. Seasonal allergies are brutal on the body’s ability to stay hydrated. Drink lots of water to flush your system and support the elimination of the foreign irritants in your system. Hydrating also thins out mucus and supports sinus drainage. Sinus congestion also leads to dry mouth and the decrease in the presence of protective saliva. This can lead to an increased risk of tooth decay and gum disease. Avoid beverages that contain alcohol or caffeine as they are dehydrating. The goal is to drink 8 (6-8 oz) glasses of water per day. 3. Go natural and try using nasal irrigation to cleanse and clear your sinuses. Nasal irrigation with the use of a Neti (sinus)-pot works well. You can even make your own salt water solution (try using Himalayan salt- the purest on earth with many vital minerals) with 16 oz of lukewarm purified water and 1 teaspoon of Himalayan salt (available from most natural products markets). Acupuncture is also effective in treating headaches and neck discomfort associated with allergies. Try to avoid the use of allergy medications that suppress your immune system and have side effects like increasing blood pressure, making you feel anxious or excessively tired. 4. Here are the oldies (for allergy relief) but goodies. Do some spring cleaning. Get the dust off your furniture and vacuum your closets. Take showers at the end of the day to wash off the allergens that cling to your body and clothing and change your clothes before going to bed so that you don’t spread allergens onto your bedding. Of course, if your symptoms are severe and these simple tips do not provide relief, consult your physician as a more serious condition, such as underlying sinus infection, may be present.